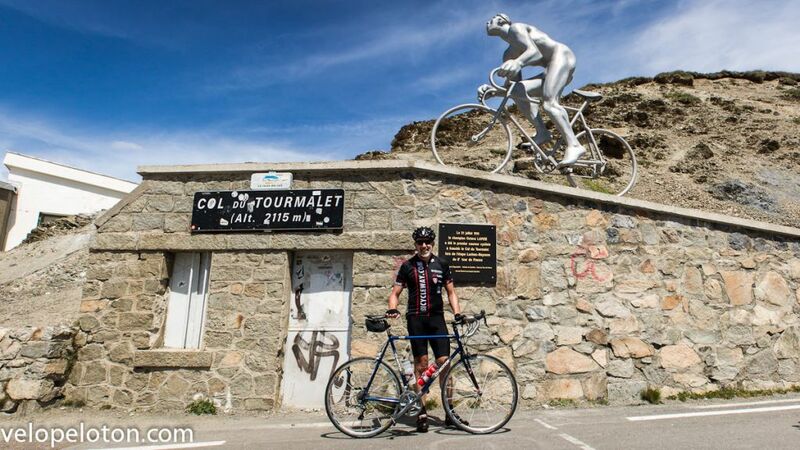 Col du Tourmalet is a Cat HC climb in Hautes Pyrenees. The summit is 2115 metres altitude. The road D918 connects the Vallées des Gaves to the west with Vallée de Campan to the east. 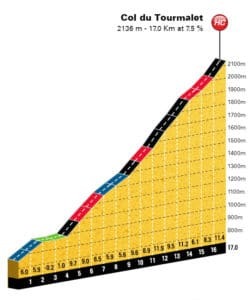 It is the most used climb in the Tour de France. 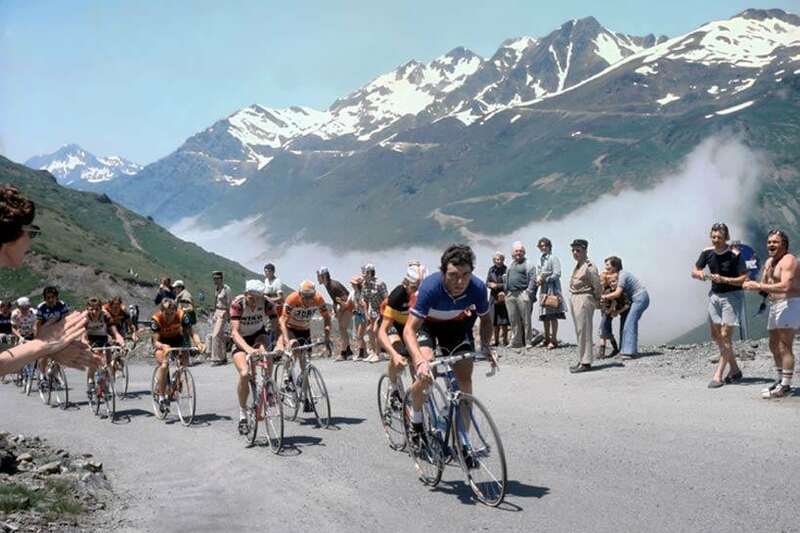 2018 will be the 86th time it has been used, including 2 stage finishes at the summit in 1974 and 2010 and 3 at La Mongie. 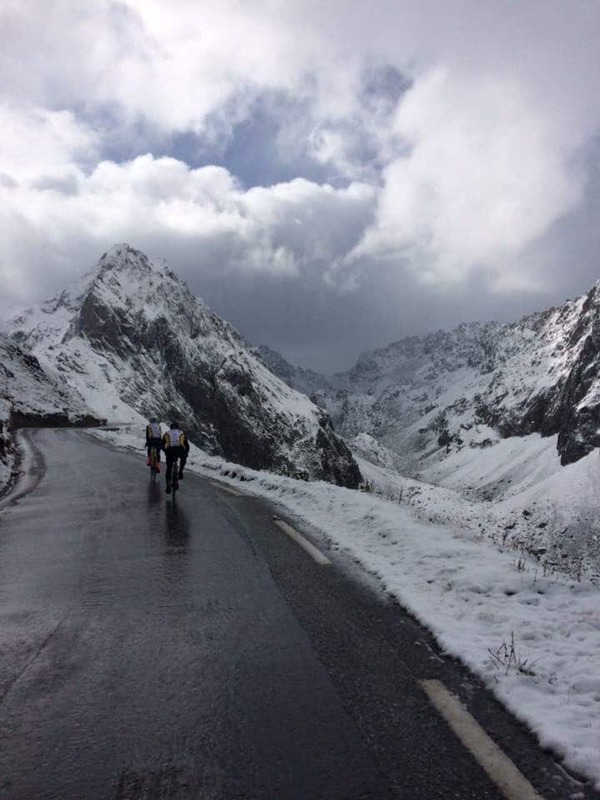 Is Col du Tourmalet open? 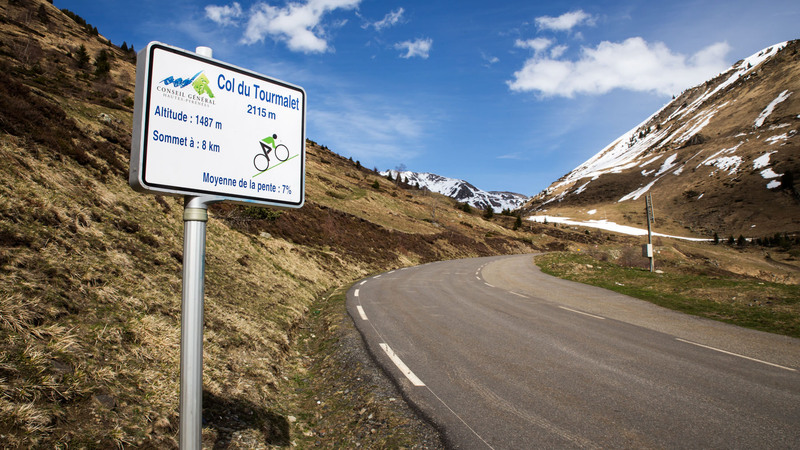 The name of “Col du Tourmalet” is often wrongly translated into English as “Bad Detour”. From French, it would kinda mean that, but it is from the Gascon language and not French. French only became the dominant language in the Pyrenées in the first half of the 20th century. Tur (pronounced Tour) is the Gascon word for “Distance” and mal is the Gascon word for “Mountain”. Its literal translation would be “Distance Mountain” which sounds very awkward in English. I would translate it as Long Mountain. There is also the fact that it was not a detour but rather the main road into the Pays Toy (valley of Luz Saint Saveur). 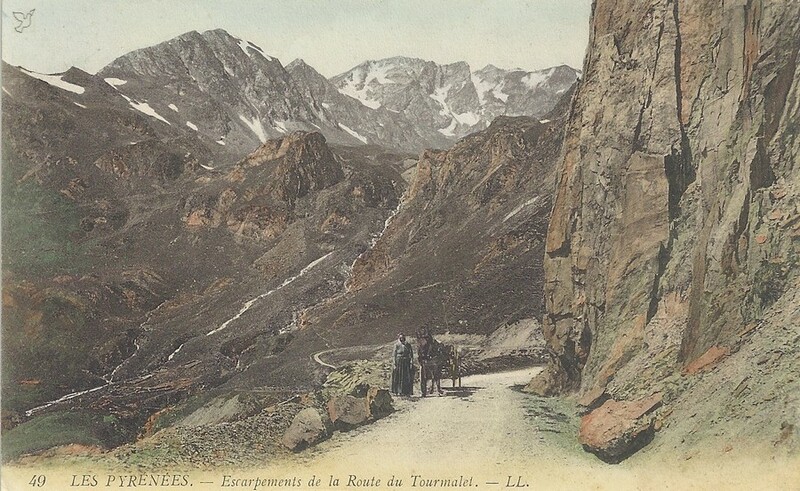 Before the road D921 was built through the Gorge de Luz in the mid-nineteenth century, the road across the Tourmalet such as it was, was the only one. The Gorge de Luz was an impassable wilderness and only a high altitude track from Soulom or Cauterets or across the Spanish border would take you into the valley. The name “Pays Toy” comes from French “Pays” meaning country and Gascon “Toi” meaning small. “Toi” was a nickname given to the mountain people by the inhabitants of the plains to the north, i.e. country of the small people. From Soulom on the western side, you have 12km through Gorge de Luz on D921, at an average of 3% to Luz Saint Sauveur, from where the climb officially starts. The road through the gorge can be very busy at times. If riding in a group, single-file is advised. 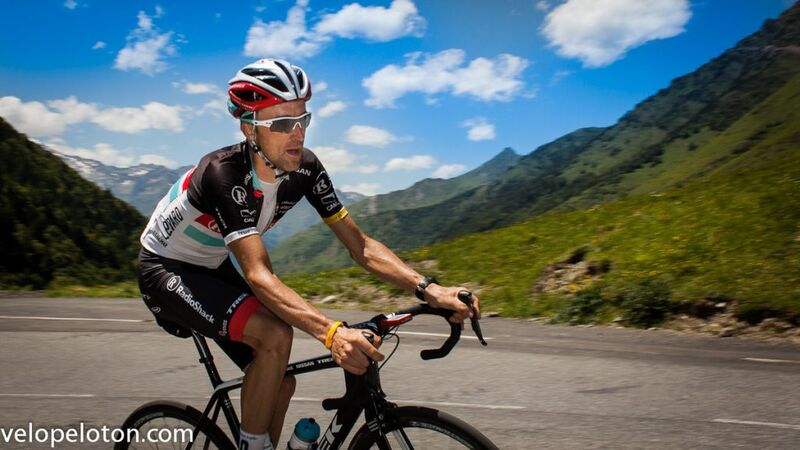 From Luz, it is 19 km to the summit at 7.5%, to an altitude of 2115m on road D918. As you leave the town you will see the 18km board as the road ramps up to 8%+. 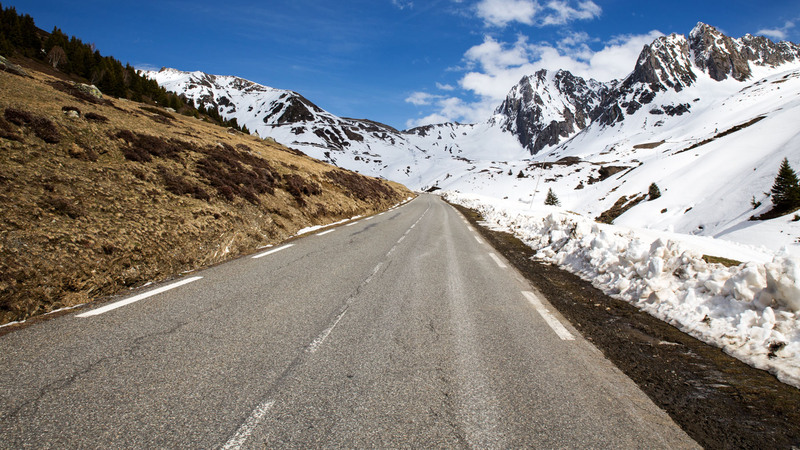 The climb to Col du Tourmalet is characterised by long straight stretches of road climbing at 8%. There are a few steeper sections and also less steep sections down to 5%. Overall the gradient does not change very much and the difficulty of the climb is its length and altitude. As with all high altitude areas, the weather can be unpredictable and extreme. 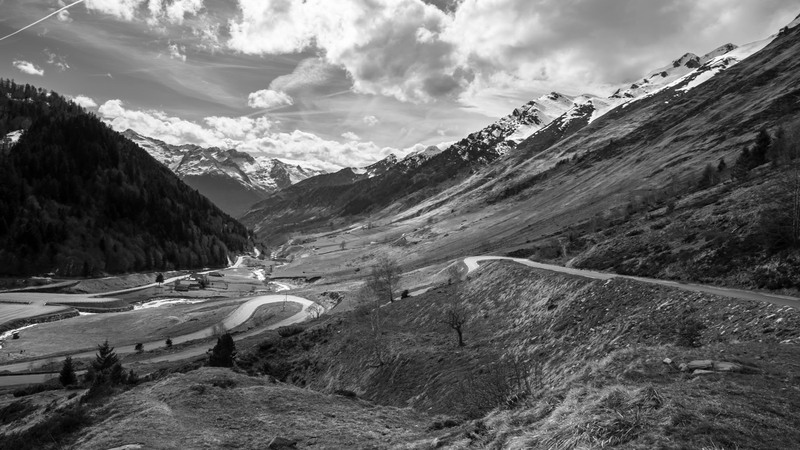 There are a couple of hairpins before the village of Baréges, these afford you a spectacular view back down the valley to Luz and across to the Ardiden Massif, the location of another Tour de France classic, Luz Ardiden. Baréges is a small tourist town hemmed in between two mountains. It is popular with hikers in summer and skiers in winter, it is rather uneventful and easily forgotten. There is a water pump on the left-hand side as you start up the main street and a fountain and tap towards the top opposite the thermal spa. Baréges also has a small grocery store and several cafes. With 12km to the summit, you won’t want to stop here. Caution: If descending through Bareges there is a one-way system, you need to turn right at the spa just past the army barracks. Out of Bareges the road ramps up to 13% and remains steep for 1.5km before the easiest section of the climb leading to the large car park at Tournaboup ski station. 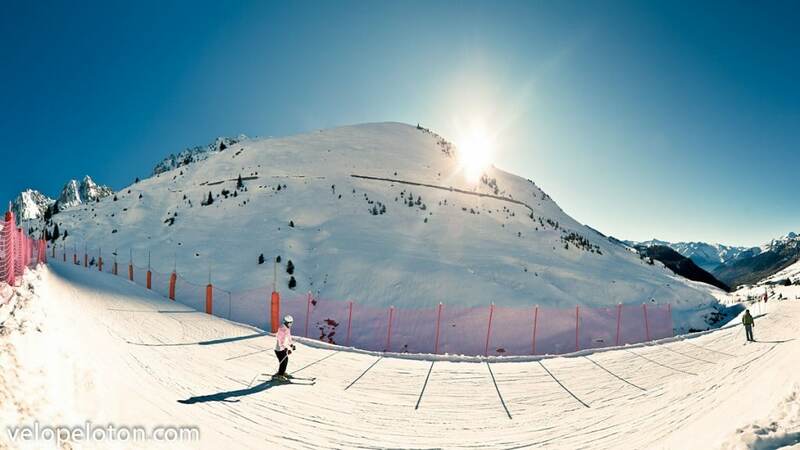 Grand Tourmalet is the largest ski resort in the Pyrenees and Tournaboup is where the lifts start on the western side. After Tournaboup the gradient rises again and remains steep for the whole 8km to the summit. The summit will be visible for the remainder of the climb. The site of the road cut through the enormous cliff face is truly daunting for the first time climber. In the afternoon sun in July and August, it is hellish. It’s not unusual to see people doing the walk of shame, head down pushing their bike. At 1750m altitude with 4km to go, you will pass the Super-Baréges ski station. 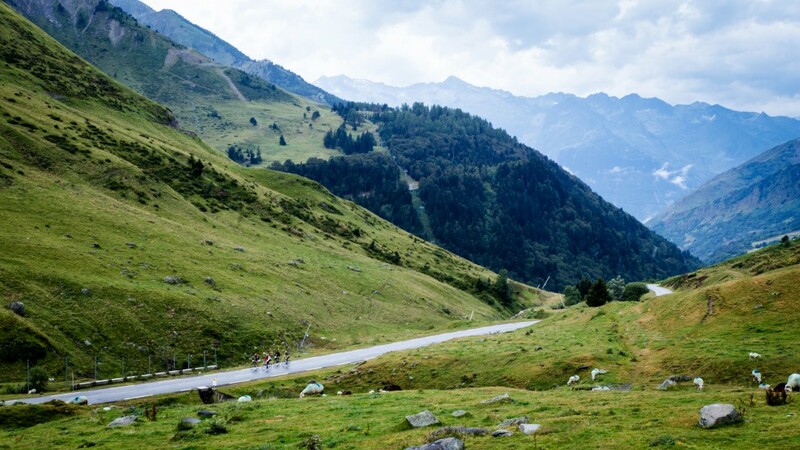 There follows the most challenging part of the climb with a large drop in oxygen at 1800m the climb takes on a life of its own, a torturous existence where even the fittest of cyclists struggle with the every rising gradient. 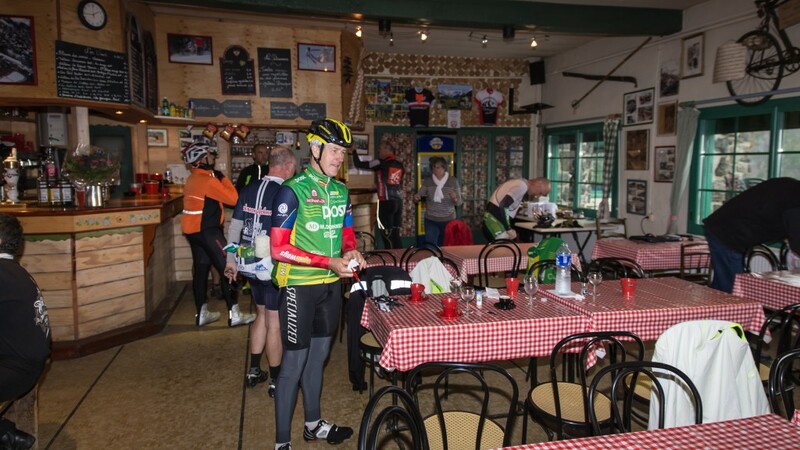 As you pass the 1km to go sign the cafe at the summit can be seen to your left if you can raise your head to the impossible angle required to look up. How can it be so high up? There is only 1km to go and it seems like 7% or 8%. Finally, with 300m to go, you will round the last hairpin bend and all is revealed. The remainder is 13% to the summit. The view back down the valley you have ridden up is awesome! From Sainte-Marie-de-Campan, the climb is 16.5 km at 7.5% on road D918. The first 4.5kms are nothing before it kicks up to over 8% for the remaining 12kms. 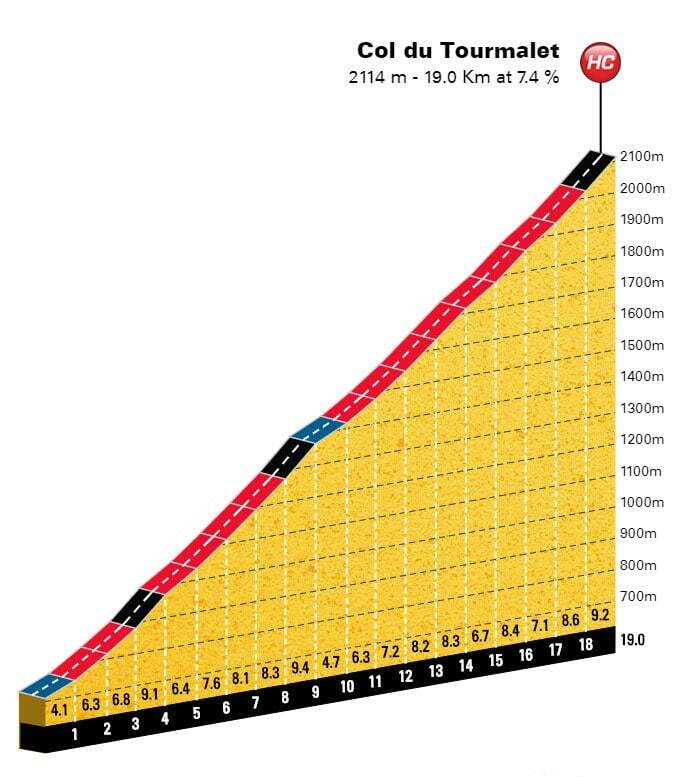 How true it is I don’t know, but it is said that this 12km is unmatched by any other climb in France for consistent steepness over that distance. There are a few hairpins but mostly it is long straight sections of road. The road is well shaded until 7 km to go when it opens up to the high mountain pasture land. At 7km from the summit, there is a memorial to Eugene Christophe at the spot where his forks broke in 1913. 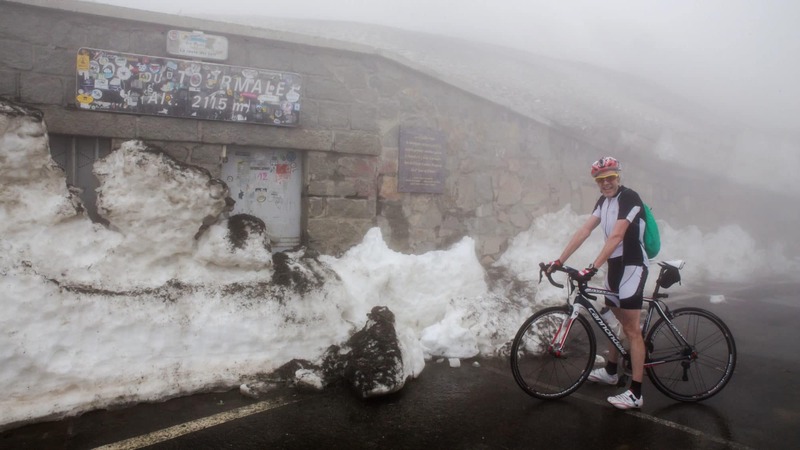 6km to go, riding through the avalanche shelters is the most difficult bit. At 5km to go the ski town of La Mongie, unfortunately, looms into view. A collect of soviet style apartment blocks murders the landscape of what would be a green and pleasant valley. Nobody wishes for bad weather and low cloud or fog. In La Mongie it would be a blessing to shroud the ghastly monstrosities. Sheep, cattle, horses, donkeys and lama are usually to be seen wandering the streets, which give the whole place an air of preposterousness, a cross between 1984 and Alice in Wonderland. The name La Mongie is a reference to the early Christian monks who used the valley as a hermitage. There is no solus to be had now. On a positive note, it has several cafes. After La Mongie the gradient eases but remains challenging all the way to the summit. It is not as psychologically gruelling as the other side, rather than the sheer rock face there are green pastures. The last kilometre is long and straight before an almost hidden turn to the left and the summit magically appears. At the summit, there is a café and souvenir shop. 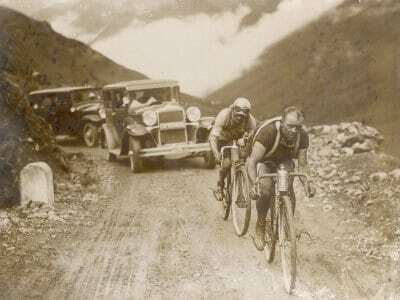 The cafe is well worth a visit to see the bikes hanging on the wall and some old photos of the col and Tour de France in days gone by. Apart from that, avoid the cafe, very expensive and not very good. 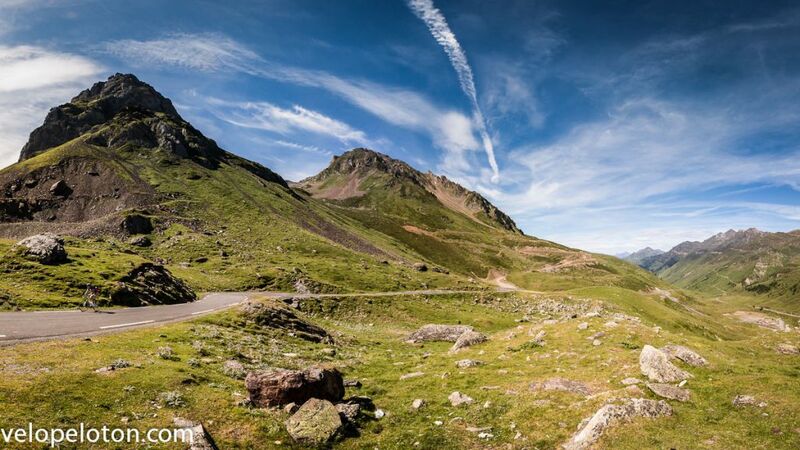 From the summit there is a further 5.5km at 9.4% to Col du Laquettes at an altitude of 2636m, most of the time this is suitable for mountain bike only, but some years it is repaired and can be ridden on a road bike. From here you can climb by foot to the observatory on the summit of the Pic de Midi, it is just over 2800m. The view is breathtaking, on a clear day you can see 20% of France. If you’re lazy or at least not crazy, you could take your bike up in the cable car from La Mongie and ride down, mountain bike advised. It was from Pic du Midi that the surface of the moon was first mapped in the 1960’s. There are 2 memorials and a sculpture at the summit. 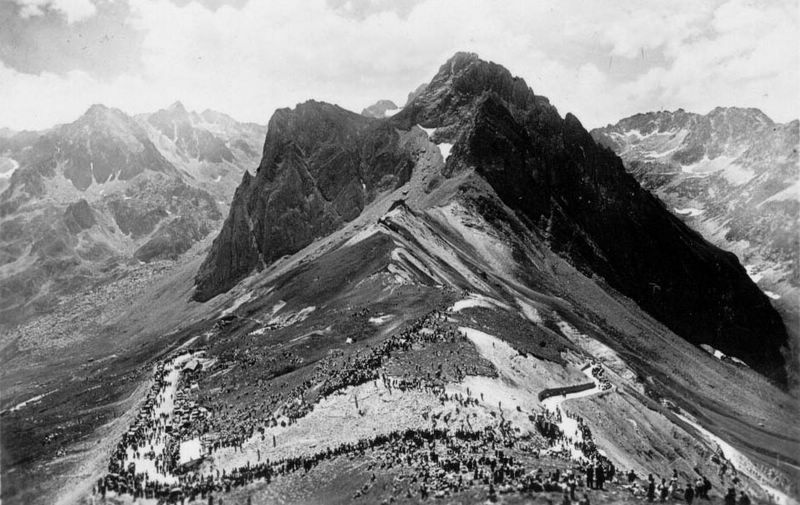 One is a plaque to Jean-Paul Raoul, who is credited as the creator of the road to Pic du Midi. 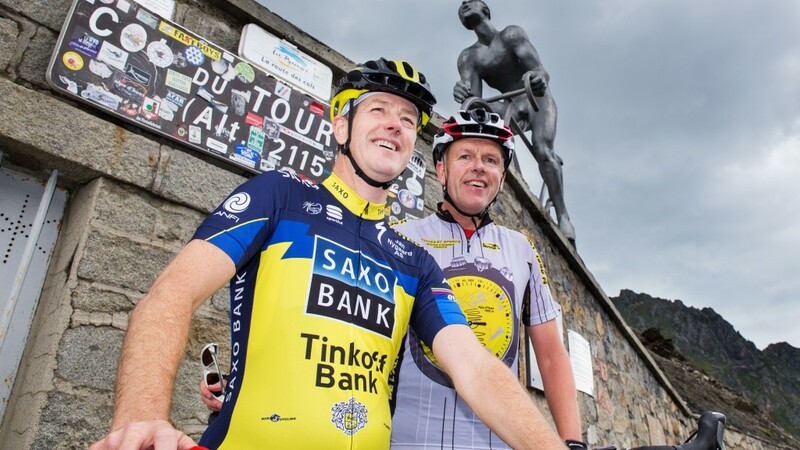 One is a bust of Tour de France director Jacques Goddet. 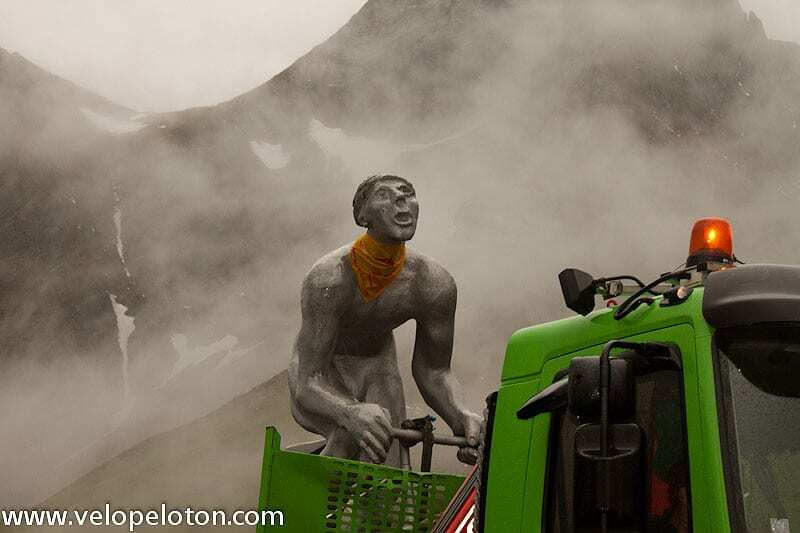 The sculpture is called “Géant au Col du Tourmalet”. 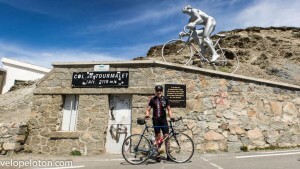 Géant au Col du Tourmalet is an iron sculpture first erected in 2000. It was created by the artist Jean-Bernard Métais, as part of the Tour de France sculpture on the A64 autoroute between Tarbes and Pau. 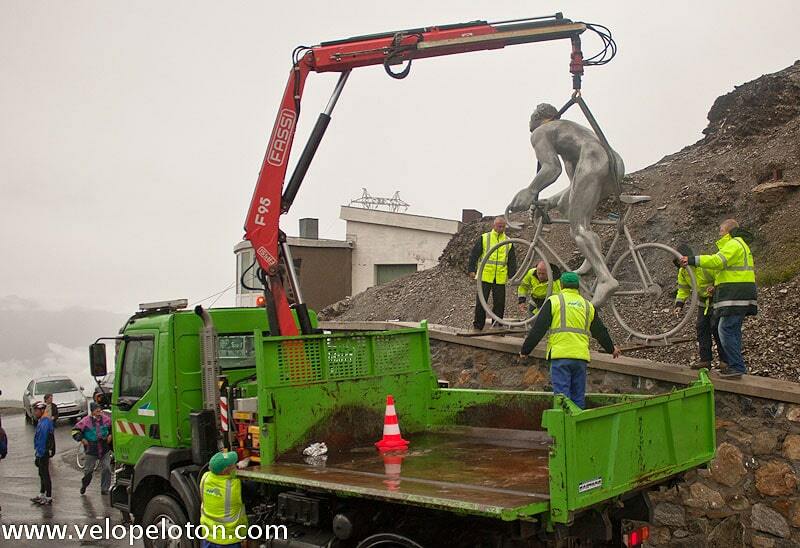 This sculpture features 8 cyclists, Le Géant is the 9th person of the work. Le Géant is installed at the summit on the first Saturday of June each summer. 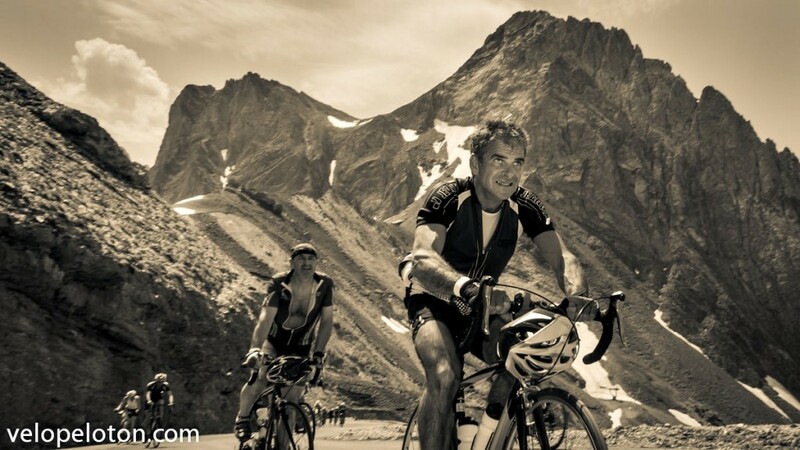 It is a great occasion known as “Montée du Géant” – “Rise of the Giant” and attracts approx 1000 cyclists, who ride up the mountain with Le Géant. Le Géant travels on the back of a truck, accompanied by a brass band. 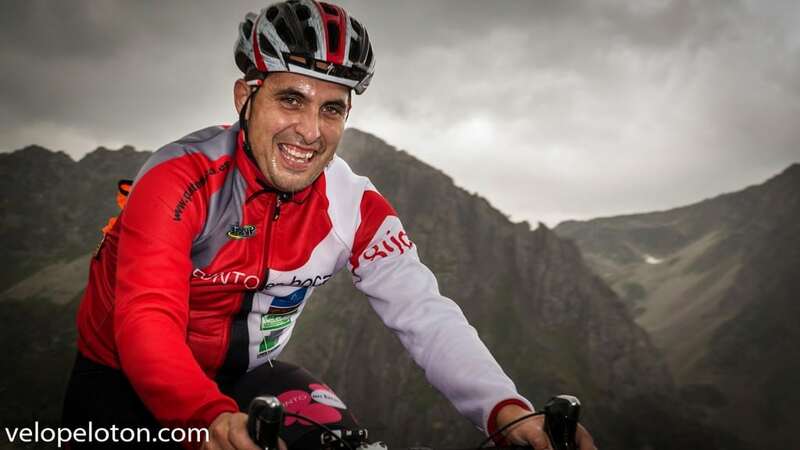 There is a celebrity cyclist each year, with Bernard Hinault and Miguel Indurain among those who have honoured the Giant with their effort. Le Geant is removed at the beginning of October each year for safekeeping from the harsh winter. It is mostly on display in Bagneres de Bigorre, but has spent a couple of winters in Tarbes. 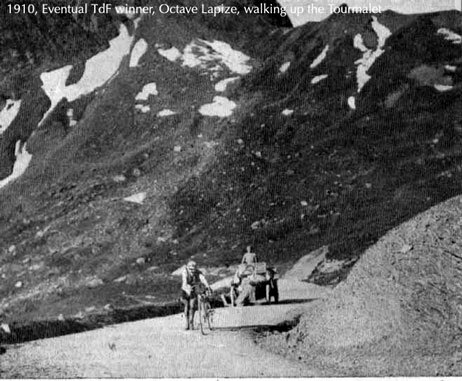 There is a misconception doing the rounds in the last few years that it is a statue to honour Octave Lapize, who was the first Tour de France rider to cross Col du Tourmalet in 1910. It’s not. This seems to have arisen after a plaque commemorating the first crossing by Le Tour and Lapize was erected on the wall under Le Géant in 2010. 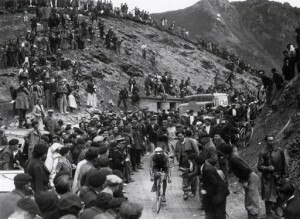 The real purpose is “Le Géant du Tourmalet est l’hommage des Hautes Pyrénées aux Géants de la route”, ” The Giant of the Tourmalet is the homage of Hautes Pyrenees to the Giants of the road”. Interpret that as you wish. 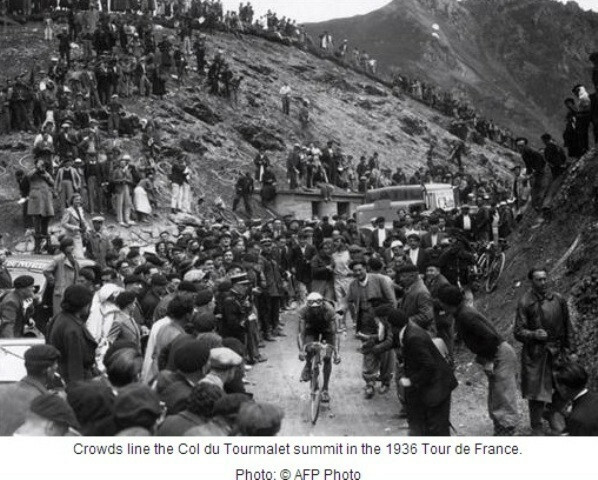 The giants of the road could be the riders of Le Tour de France or it could be all the riders who cycle up Col du Tourmalet each year. I prefer the latter. 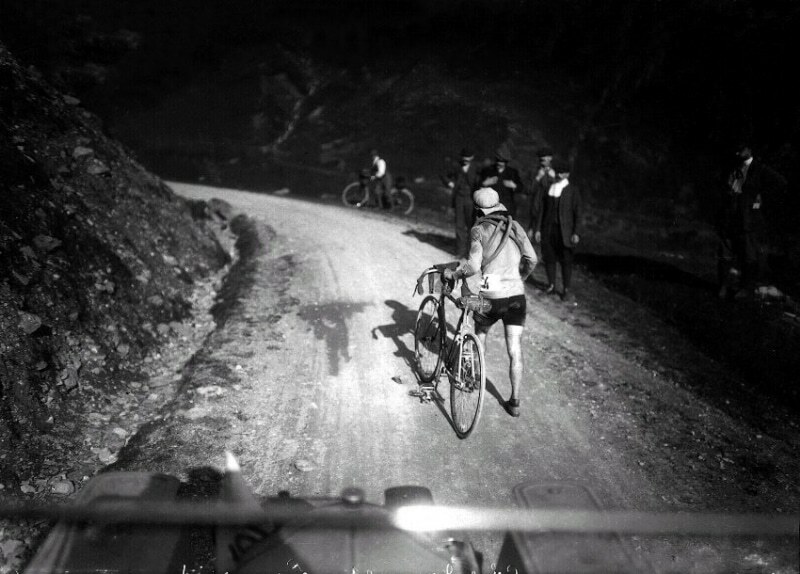 An honour for every cyclist who makes it to the top. The Tour de France first entered the high mountains in 1910 with Col du Tourmalet as the first HC climb on an epic 326km stage from Luchon to Bayonne, The Circle of Death. The many stories and legends that have emerged since are too many to relate here, I will return to them in other posts. 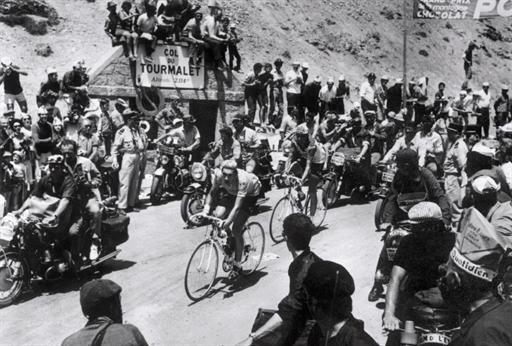 2018 will be the 86th time the Tourmalet has been used by Le Tour. 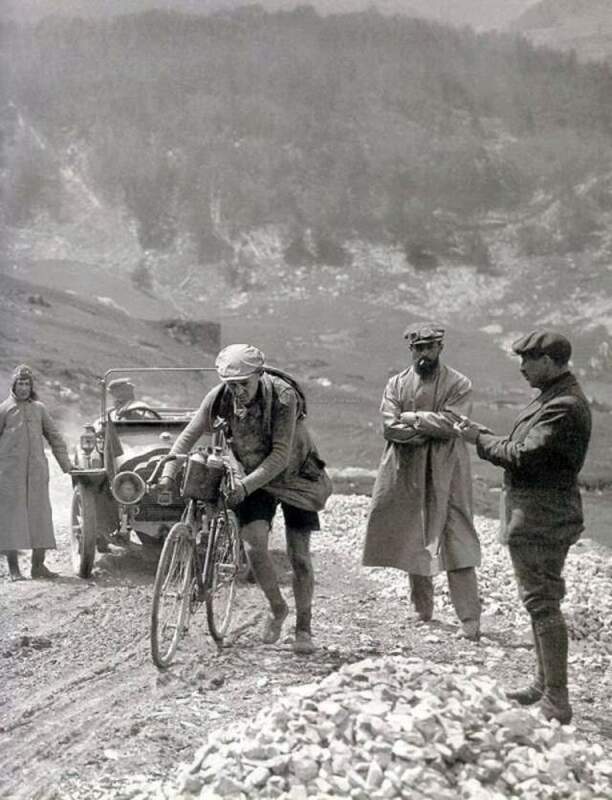 This list is of the first rider over the summit on each stage. Not officially open but passable. Brilliant page and fantastic photos. 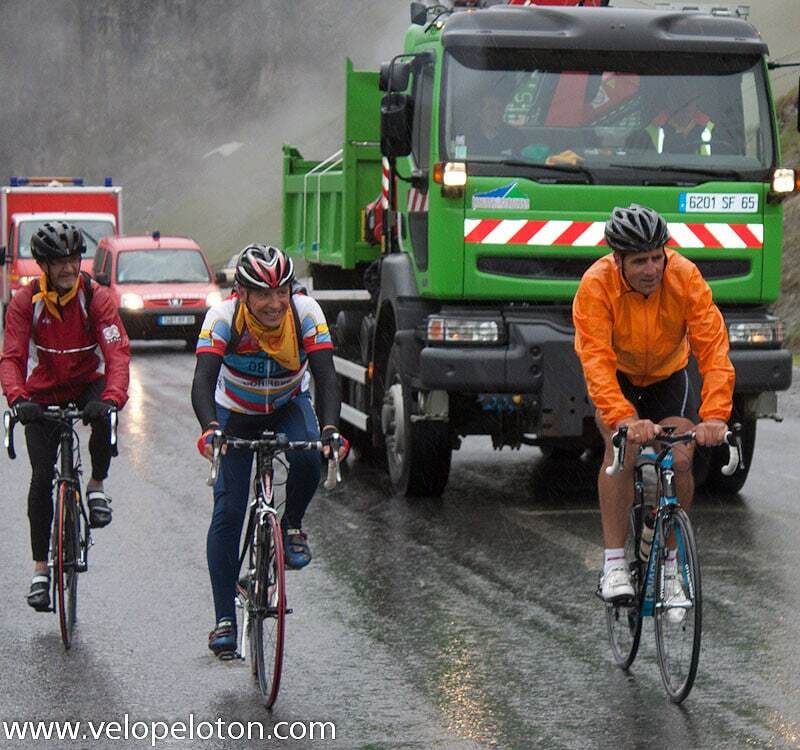 I’m doing Tourmalet and Hautacam in August. ist das auf dem Postversendeweg aus Spanien nicht mehr bei mir angekommen. 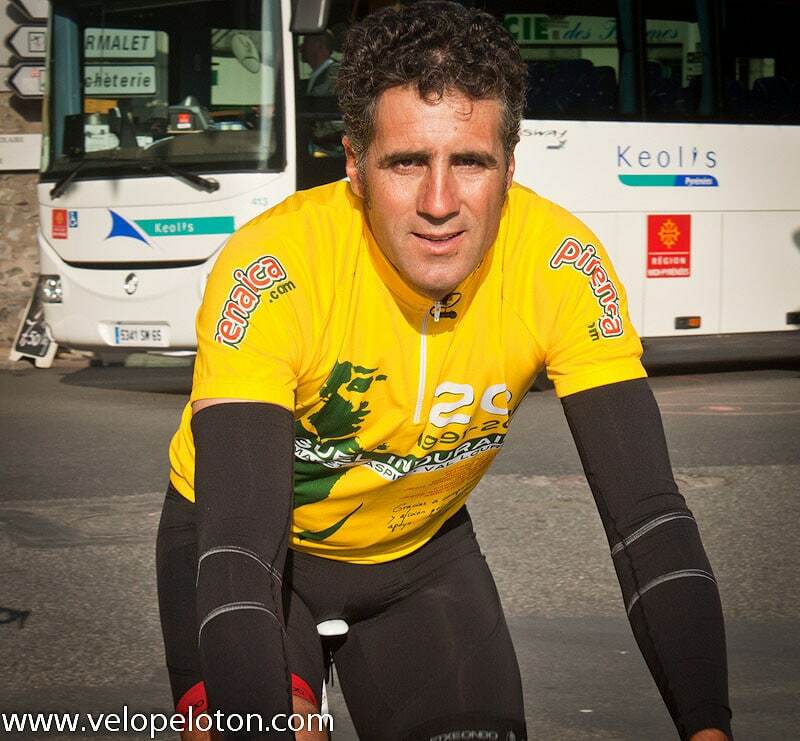 Thanks for a great website, it has helped a lot with our planning for a cycling trip in 2015. Love the photos and can’t wait to see the real thing next summer. 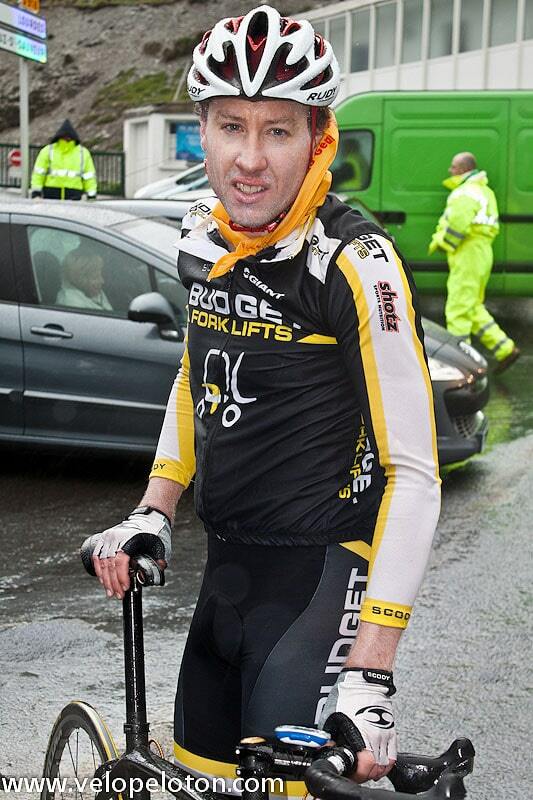 Chapeau Simon. Love the photo. 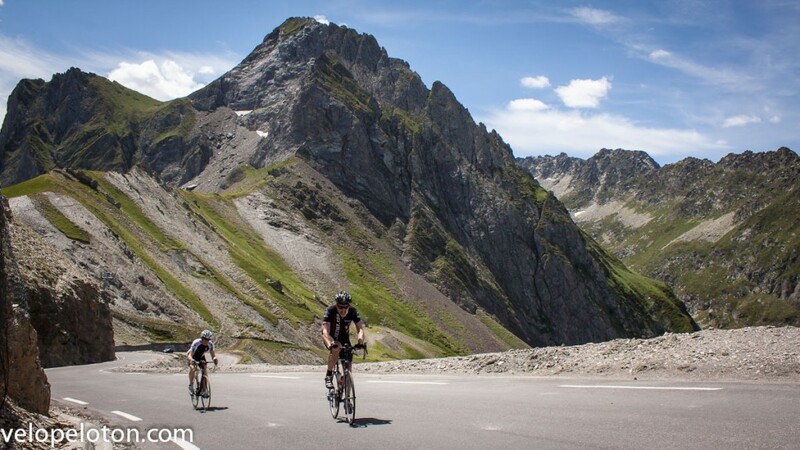 I first rode the Tourmalet in 2016 to see the Tour de France, it was a dream come true ! 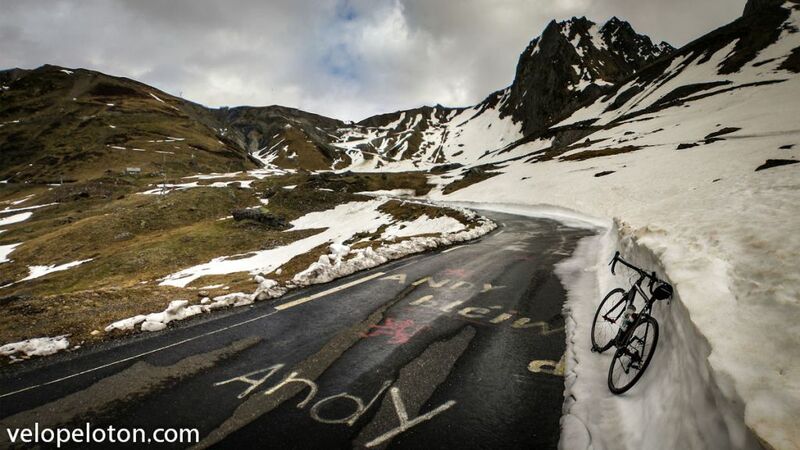 The Pyrenees , What a magical place . I fell in love ! In 2019 I am going back for one month to ride . 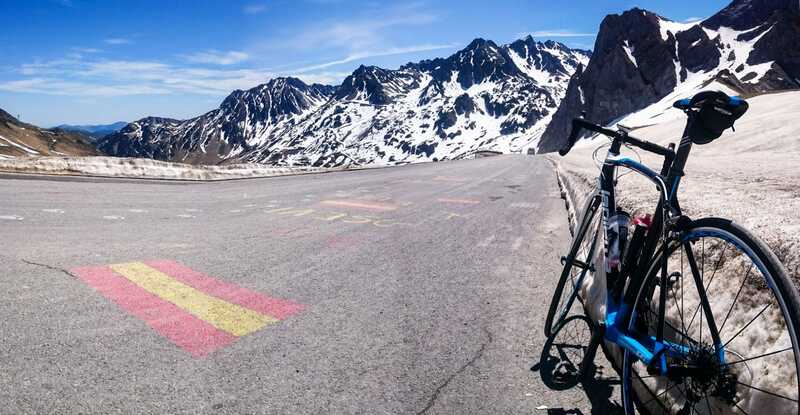 Ride everything , including the Tourmalet from both sides . I just get so inspired by all those that have gone before me . 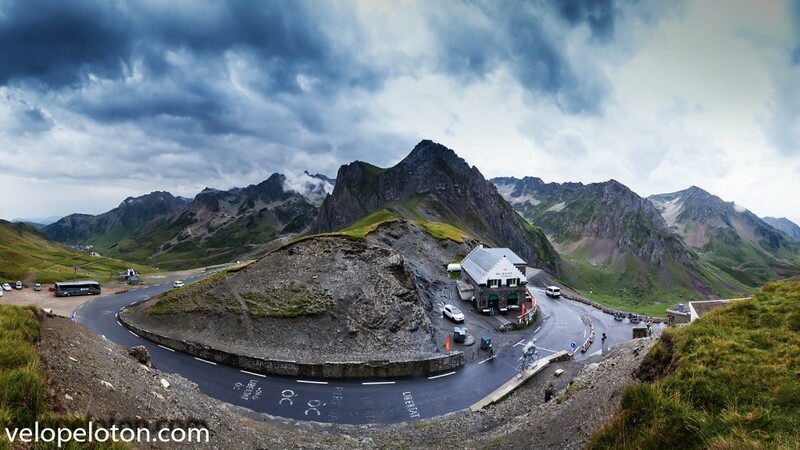 The Tourmalet , a truly magnificent place . ” I just get so inspired by all those that have gone before me”, I must agree.